Dungeon Fever is a RPG Puzzle game where you are the Evil Lord awakening after a long nap… You must restore your Dungeon, strengthen your Goblins army, and claim back your evil Creatures! The heroes of Good (humans, elves, etc.) will try to stop you or steal your treasures! 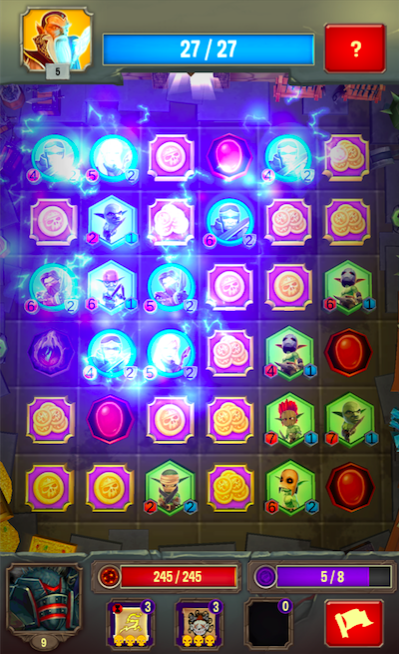 Defeat them with your goblins, your special creatures and your powerful spells by a original puzzle fight system! Make the evil power great again ! ★ An exclusive RPG system to increase your power by upgrading your dungeon : Heart, Library, Treasure, etc. ★ Unlock and upgrades 10 different spells to defeat your enemies : Fireball, Thunderstorm, Gold Vortex, Blood Rage, etc. ★ An incredible Goblins battle hymn you’ll never forget! ★ Inspired by other Puzzle and RPG games we love like Dungeon Story, Dungeon Raid, Puzzle Quest, Scurvy Scallywags, and of course the good old Dungeon Keeper!